Christmas on 5th has become the official start to the Christmas season at Baylor. In addition to the annual KOT (Kappa Omega Tau) Christmas Tree Lighting in Burleson Quadrangle, Christmas concerts, carriage rides, a petting zoo, a live Nativity, and photos with Santa are available to students, alumni, faculty, staff, and the Waco community. The festivities are held along Fifth Street, throughout the Bill Daniel Student Center (SUB), and along Fountain Mall, Traditions Plaza and Burleson Quadrangle. Come and experience the sights and sounds of Christmas at Baylor with Christmas on 5th. Baylor Christmas on 5th Street 2012 from Baylor Lariat on Vimeo. University Carillonneur Lynnette Geary presents her annual recital for the Christmas season. This event is free of charge and open to the public. The Christmas Carillon Recital starts at 5:00 p.m. on December 3. Baylor University's fifteen-member hand bells choir presents its annual Christmas program under the direction of Bob Avant. This event is free of charge and open to the public. Baylor Bronze starts at 5:30 p.m. on December 3. The combined choirs of Baylor University and the Baylor Symphony Orchestra are conducted by Director of Choral Activities Alan Raines. For ticket information on Baylor concerts, call the School of Music box office at (254) 710-3571. 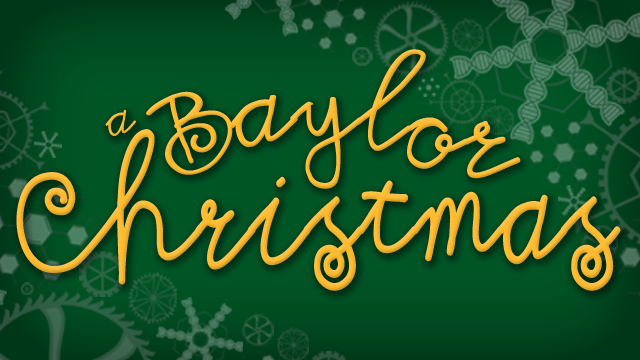 Christmas at Baylor starts at 7:30 p.m. on December 3 and 4. Chamber Singers present "Carols of Christmas"
The director of Baylor University's Chamber Singers is Alan Raines. For ticket information on this concert, call the School of Music box office at (254) 710-3571. The "Carols of Christmas" will be performed on December 6 at 3:00 p.m. and December 7 and 8 at 7:30 p.m. in Armstrong Browning Library. Our youngest alumni are familiar with this new holiday tradition in Waco. Waco Wonderland is a true community event to showcase downtown Waco. The event is organized by the City of Waco, Public Improvement District 1, the Waco Downtown Development Corporation and numerous community organizations. Waco Wonderland is located in downtown Waco at Heritage Square and along Austin Avenue from City Hall to 8th Street. General admission and parking are free. An ice skating rink, Ferris wheel, food trucks, and games are some of the many attractions that make this an annual event that is quickly becoming a favorite Waco, and Baylor, tradition.